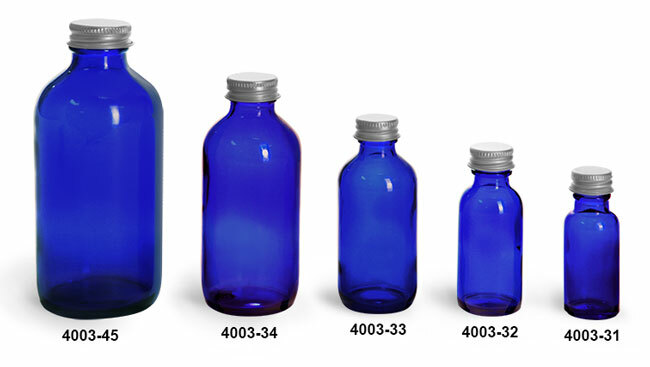 We offer our blue glass boston round bottles in five sizes with aluminum caps. These blue glass bottles could be used for many applications including essential oil, soap and bath products and herbal industries. The aluminum caps are PE lined. *Note: These bottles have PE lined no-rust aluminum caps.